Ever since Leo Fender came out with the first commercially successful solid-body electric bass guitar over 60 years ago, his company’s basses have been at the forefront of popular music. Although they have often been imitated by other guitar companies, they have never been duplicated. Here, we will go over a brief history of the two most popular models, the Precision and Jazz basses. At the time the “P-Bass” was being developed, the upright, or double, bass was the industry standard. Although it could make a deep, loud bass line, its use was problematic. It was large, heavy, and difficult to transport. It could damage easily. In addition, it was hard to keep in tune. What made it even worse was that it was getting harder and harder to hear as jazz and rock bands began using electric guitars. 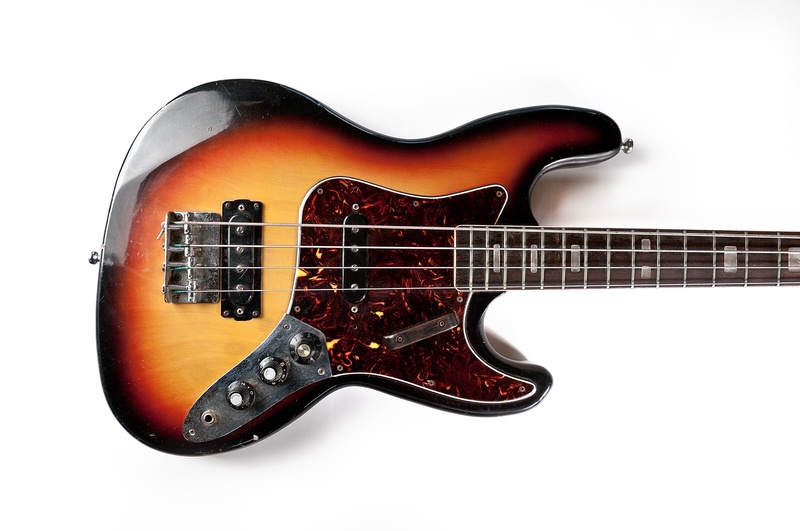 Seeing the need for a solution, Leo Fender developed the Precision Bass and released it in 1951. It was so named because, being a fretted instrument, it was easier to play notes precisely on it than on the fretless double bass. The initial version had a single pickup, but the bass was modified in 1957 to the configuration that is still used today, a split-coil humbucking pickup. Although there are several editions available now which also include a Jazz Bass pickup for a wider range of tones, most models use the basic configuration. The first notable use of the P-Bass in rock history was when Bill Black of Elvis Presley’s band switched from a double bass to a Precision. It was featured prominently in Elvis’ film JAILHOUSE ROCK, and the popularity of the instrument then soared. Since then, many of the world’s most renowned bassists have used the instrument, including Sting, Roger Waters of Pink Floyd, Mike Dirnt of Green Day, the legendary James Jamerson from Motown Records’ backup band, and Duff McKagen, formerly of Guns N’ Roses. Almost 10 years after the P-Bass was introduced, Leo Fender struck gold again with the Jazz Bass. It has a different contour from its predecessor, and most models have two bi-pole pickups wired in parallel. 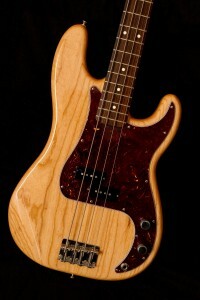 As a result, has a very different tone from the P-Bass, being brighter in the midrange and treble. This makes it more suitable for bassists who want to be more “forward” in the mix, for example, a Rock “power trio.” Ironically, as the name implies, it was intended primarily for upright Jazz bassists who wanted to make the switch to an electric bass. Another difference between the two models is the neck. The Jazz bass has a neck that is much slimmer at the nut, and therefore faster to play than the P-bass. Like the P-Bass, the “J-Bass” has often been imitated by other guitar makers, with varying degrees of success. But, it has remained a standard design in music since its inception. Renowned bassists such as Geddy Lee, Jaco Pastorius, John Entwistle, Victor Bailey, and Adam Clayton of U2 have used Jazz basses. Fender offers multiple models of Jazz and Precision basses, including custom models, Artist Signature series, and editions that have elements of both basses combined. To see what is available, go to http://www.fender.com.